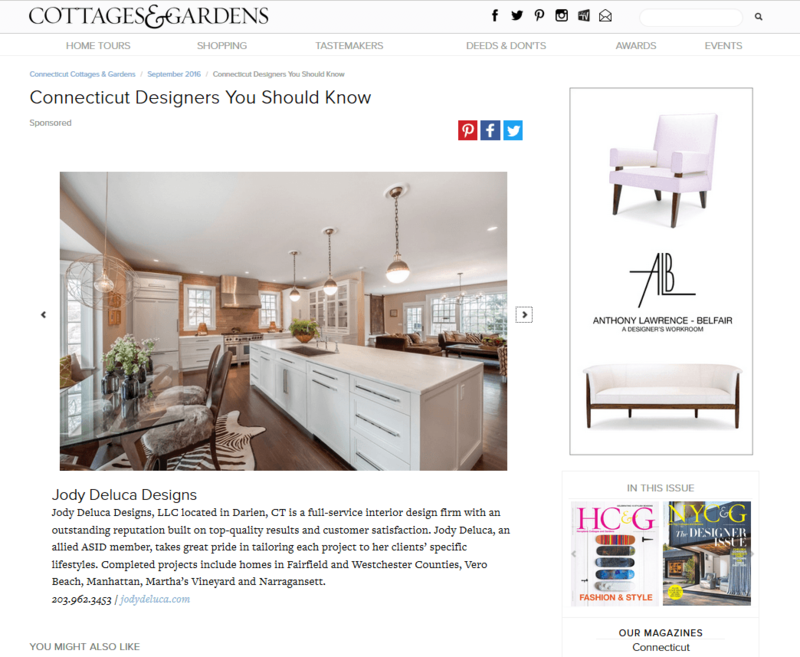 Jody Deluca Designs is a full-service interior design firm serving clients throughout Connecticut, New York, Rhode Island and many other places across the country. As a trusted interior designer, Jody Deluca takes the time to understand your unique tastes and lifestyle to create the atmosphere you’d like to achieve in your home. If you’re looking to transform your existing space or need help designing your new home, Jody Deluca Designs is ready to bring it all together! Jody Deluca is the principal and owner of Jody Deluca Designs. She has been creating beautiful interiors for individuals and families for over 20 years and takes pride in staying up-to-date on the latest trends while maintaining an affinity for classic interior design elements. Jody’s outstanding reputation has been built on spectacular results and superb customer service. Discover why clients continue to refer Jody to their friends, families and colleagues. Jody Deluca Designs is able to successfully manage the entire design process from beginning to end, saving you the time and headache of dealing with contractors and deliveries. She acts as a specification consultant for new construction or renovations, liaises between you and your contractors, handles upholstery services, coordinates and supervises all installations and the delivery of products and can help with color selection and paint schedules. Let’s get started on a space you’ll want to come home to!